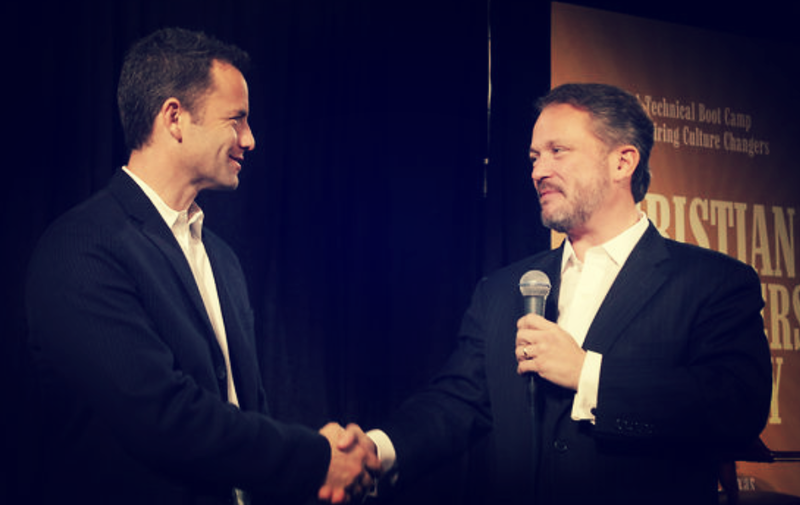 Kirk Cameron and Doug Phillips. This statement comes several months after BCA revealed in July of this year that Doug Phillips had left Boerne Christian Assembly and had become a member of another Church “without a letter of transfer from Boerne Christian Assembly” — a requirement affirmed by Phillips himself while he was an elder at BCA. Phillips left after BCA “sought to exercise oversight and accountability” on account of allegations that Phillips had groomed and sexually assaulted a young woman. You can read Boerne Christian Assembly’s full statement here (or archived as a PDF here). Read the Phillips’s statement here as a PDF. Sadly, though, the Assembly will continue in a theology of the suppression of women in pretty much every way. Wow. I didn’t think they were capable of this. I thought he’d had them in his pocket too long. Although what Jaycee Grey says is also true… nevertheless, I’m kind of impressed. I guess my thought is.. so what? Maybe he’ll be prevented from succeeding in something like this again simply because of his notoriety. But, what if he had been less well known? There’d be nothing to stop him, once he joined another church. Good for Lourdes for going to the law. Rather than trusting in some self-serving, self-policing religious figurehead to “protect” her. Actually, I think that was her original mistake. Yeah, well, it’s always the children who suffer. I feel for them. As for Doug, I’m not supposed to rejoice in his misfortunes, but he sure deserves it.